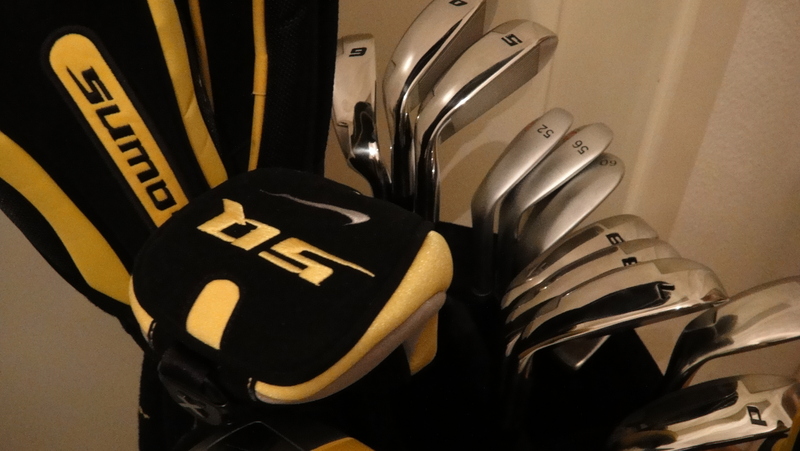 i just found a short video on youtube that is precisely presenting my range of clubs i carry in my bag (except for my 3 titleist vokey wedges i play in addition). so if you might wonder, “hey, what’s this guy playing with? !” you should watch the film below. i have to admit: it’s a commercial video and for sure, such adverts always sound perfect – the reality is mostly another story. in deed i’m pretty confident with my irons but struggle a bit with my driver, the fairway wood and the hybrids, but i’ve no idea whether it’s my swing or just the tools that might be altered and enhanced. after watching this video, i’m certain: unfortunately it must be my swing that has need for improvement! 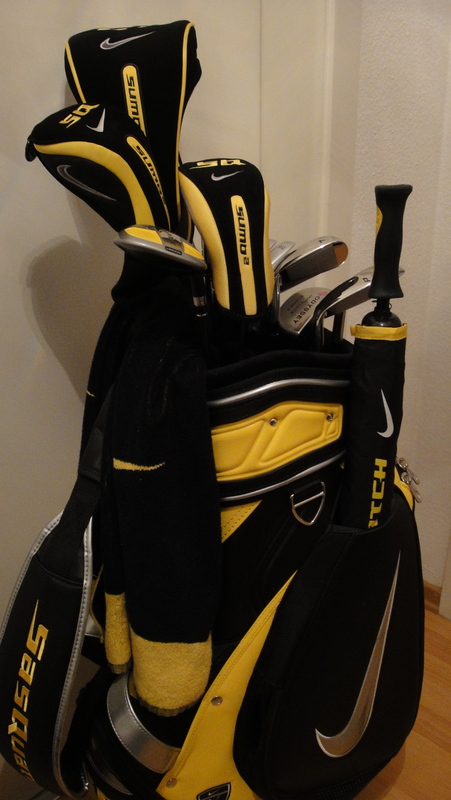 today i got my new clubs. 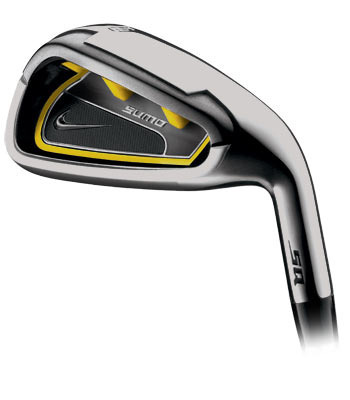 i ordered a new set of the 2008 nike sumo irons. originally, i wanted to buy the titleist CBs, because in my eyes they are (next to the MBs) the most beautiful irons out there. but, honestly, i’m not good enough for these. 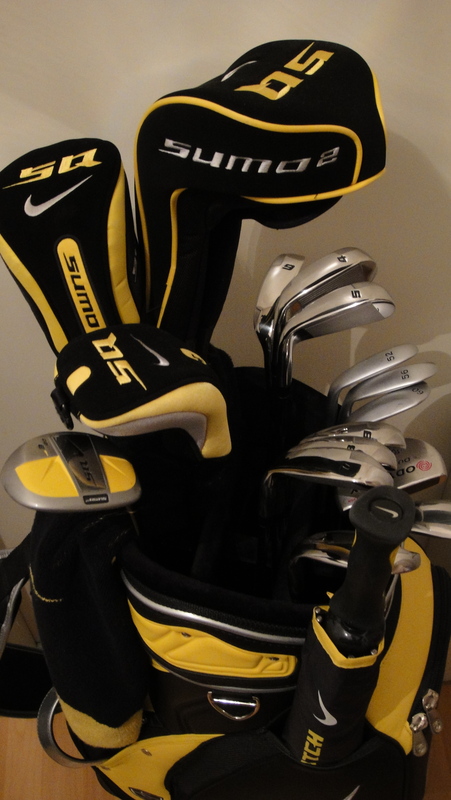 so i decided in favor of the sumos because they match my golf approach and bag perfectly. unfortunately there’s still snow outside and that’s why i can’t try them out. but i feel relieved to have the second last piece of puzzle of my bag in place. take a look and let me know how do you like it! i try to test them as quick as i can, so stay tuned: i will write a report about my newest purchase for sure!